British Prime Minister Theresa May has said she wants further talks with the opposition on a Brexit deal. In response to Mr Corbyn’s letter, Mrs May said she looked forward to Conservative and Labour teams meeting soon to consider "alternative arrangements" to the Northern Ireland backstop. 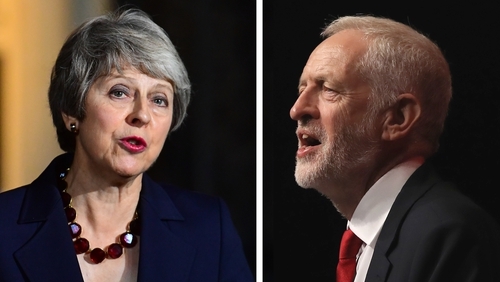 But Mrs May rejected some of the conditions outlined by Mr Corbyn, saying she was unclear about why he favoured remaining in an EU customs union. She said: "I am not clear why you believe it would be preferable to seek a say in future EU trade deals rather than the ability to strike our own deals?" Meanwhile, former foreign secretary Boris Johnson told BBC Radio 4's Today programme: "It's clear that Jeremy Corbyn... he's done a complete U-turn. "He now wants to frustrate Brexit very largely by staying in a permanent customs union." On the Northern Ireland backstop, Mr Johnson said: "The argument is now about how to get out of the backstop. And how to make sure that the UK isn't locked in that prison of the customs union. "I think that you would need to have a time limit." Asked if changes to the backstop proposals could come in a separate codicil to the Withdrawal Agreement, Mr Johnson said: "I don't think that would be good enough." When asked about a reshaping of the backstop, Mr Johnson said: "It would have to give the United Kingdom a UK-sized exit from the backstop. "We would have to be able to get out by a certain time and we would have to be able to get out of our own volition. "The most promising way forward is to do what is called the Malthouse compromise." Pressed on suggestions sterling could fall by 20% due to Brexit, Mr Johnson said: "The pound will go where it will." Meanwhile, the UK's Shadow Brexit Secretary has said that the Labour Party has some concerns about the backstop. Speaking in Dublin, Keir Starmer said that the party absolutely accepts that it is inevitable that a backstop will be needed. Speaking in Dublin, Mr Starmer said the Labour Party had gone for a customs union and close single market alignment approach because it thinks that is what is best for the economy. He said that had come after many discussions with trade unions and businesses, and because it is the only way of securing no hard border in Northern Ireland. Mr Starmer also said the idea of a second referendum is not off the table as far as Labour is concerned. On Wednesday, Mrs May is expected to table another motion to the House of Commons, outlining the next steps she wants to take in the Brexit process. That will then be followed on Thursday by a debate and voting on a number of amendments. It is another chance for MPs to rebel against what Mrs May wants and try to shape where Brexit goes from here. Brexit Secretary Stephen Barclay will be in Brussels later today to meet the EU's Chief Brexit negotiator Michel Barnier.